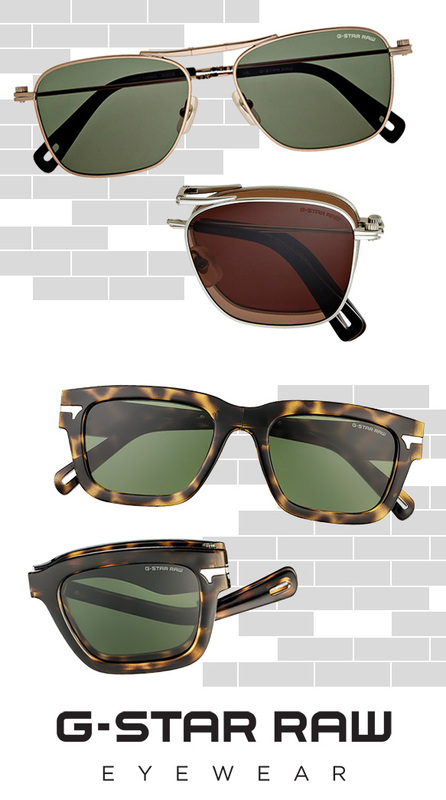 Guys ‘n’ gals, let us introduce you to some of the most compact sunnies around. Pushing the boundaries of sunwear, G-Star RAW has specially crafted stylishly foldable shades that are not only quite convenient, but also seriously on trend. Fold up these nifty frames, and tuck them away when they’re not protecting your peepers. And simply unfold them, slip ‘em on and rock them with just about any ensemble—boasting versatile designs, they can be worn with all kinds of looks. Square aviator and classic wayfarer silhouettes collide with metallic and tortoise finishes. With the brand’s signature industrial-like screws and logo, not to mention flat tinted lenses and temple cut outs at the forefront, these clever sunglasses scream simplistic chic. Snag even more info about these frames here!